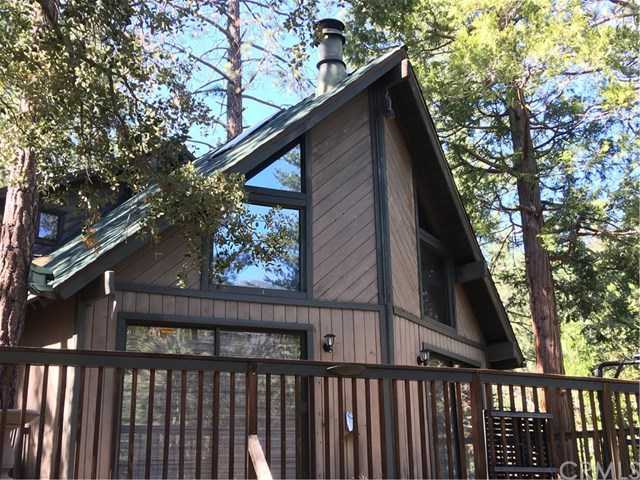 MLS# IV18269775 - 52641 4s02, Idyllwild, CA 92549 - Pat & David Fogg | David Fogg Real Estate, Inc. Courtesy of MUIRS MOUNTAIN REALTY, FLORINA MAXEY. Beautiful Mountain retreat located in the gated community of Pinewood. Off the grid….fully contained on 1.6 acres. This 3 bedroom, 2 bath home has plenty of room for the family. With a large living room, vaulted ceilings, beautiful rock fireplace, windows overlooking the spacious decks and serene forest. One bedroom and bathroom downstairs, 2 good size rooms upstairs and another bathroom. The kitchen has new stainless steel appliances and breakfast nook. Updated solar and batteries, New 1500 gallon water tank, New roof. Below the house is a large workshop. There is also an out building. Water is from a community well, powered by a generator. More photos to come…. Please, send me more information on this property: MLS# IV18269775 – $299,000 – 52641 4s02, Idyllwild, CA 92549. I would like to schedule a showing appointment for this property: MLS# IV18269775 – $299,000 – 52641 4s02, Idyllwild, CA 92549.